Provides a step-by-step guide to the construction of a home recording studio. With the advances in digital technology, musicians can now produce their own music. But the gear is only part of the equation when it comes to recording and mixing. The next part is finding a soundproof room that you can produce it in. Unfortunately, any old room in your house will not suffice for a quality recording. Without a decent room, you'll never be able to record a studio-quality recording you'll be proud of and excited to have other people hear. So how do you go about creating a space in your home that has similar acoustics to that of a world-class studio? How do you soundproof this room to keep your sound in and outside noise out? How do you construct or modify the room so that its size and shape best complement its function? 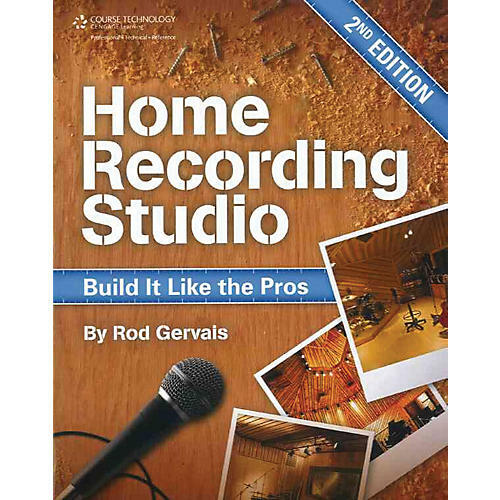 HOME RECORDING STUDIO: BUILD IT LIKE THE PROS, SECOND EDITION teaches you how to do all these things, from building a professional home studio to saving thousands of dollars in the process. This book teaches you how to design and understand your room how to treat it, wire it, and condition it while using widely available materials. Each step features visual aids to illustrate underlying concepts, as well as professional tips and examples from actual studios. Everything is covered, from room design to electrical considerations, from room treatments to codes, permits, special needs, and more. The new edition is fully updated to include new techniques and technologies for the home studio introduced after publication of first edition back in 2006. There have been many changes to building codes and technological advances since that time.